It’s been a while, but I’m still here! The summer time has been quite busy and I haven’t played a lot of new games, but there’s been some. I will quickly go through the most important ones to sum the summer up! 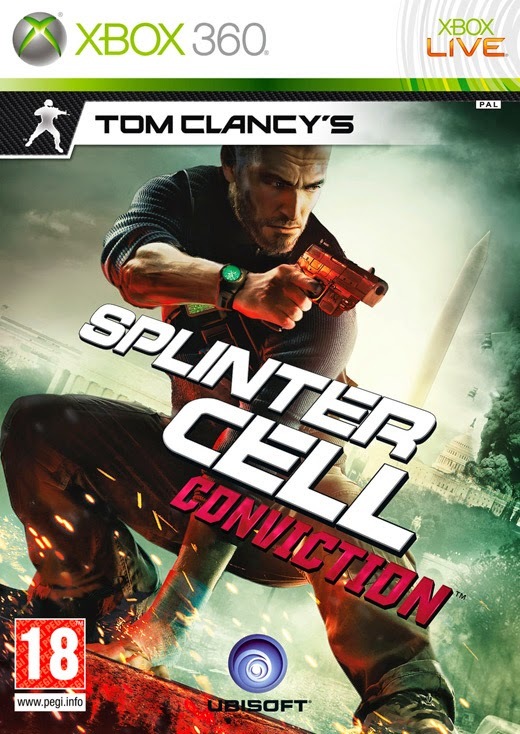 To kickstart I’ll tell about half of my experience with Splinter Cell: Conviction. You see the main singleplayer game is one part of the game, while the coop multiplayer game is the prequel half of the game. I have only played the singleplayer yet, so I’ll come back on the coop part on a later post. The Splinter Cell games have always been the realistic approach on a stealth game, it originally came as a competition to the stealth game trend Metal Gear Solid started years ago. However of the two the MGS games always had the superior story (while not being realistic) and the SC game always had the superior gameplay. Unlike years ago, for me now a realistic story is better for me. Especially if the game also is realistic, so I enjoyed SC: Conviction a lot. The locations look and feel incredible. They feel open and they really have a fantastic atmosphere. I also enjoyed the variation on the different missions. The fact that you are on the run from the law gives the story and the atmosphere an extra boost. Making you feel like you are on the edge all the time. I like it and add Michael Ironside’s low and deep voiceover for Sam Fischer and the story really hooks you too. The gameplay is really solid, controlling Sam feels good and easy. The execution style ability (you have to take out enemies without being detected to have the option of executing enemies with a press of a button) is awesome. However I feel the game is less advanced in the amount of movements you can do compared to the earlier SC games, I guess this was a design choice to hook in new players. I also don’t like the black and white filter when you are hidden, it makes it actually harder to things even though you are doing exactly what you are supposed to be doing and should be awarded. All in all, I really enjoyed the playthrough of SC: Conviction, I played it on the hardest difficulty without any major problems. Looking back maybe I feel the execution option made the game a tad easy and should have let me control the aim more instead of just pressing “fire”. While the singleplayer is a tad short, it’s a thrilling and atmospheric ride while it lasts. Another game I have been playing a lot lately coop is Lara Croft: The Guardian of Light. The game takes the famous vidoegame heroine Lara Croft and puts her in an isometric viewed adventure built around coop gameplay. Me and a friend haven’t finished the game yet, since it actually is really a big game, but my thoughts on the game are made up already. The controls are great, the movement being controlled very well, one stick for the character movement the other for the shooting direction. The characters have many moves and there are lots of types of equipment and sort of perks to upgrade your character with, that’s not counting the numerous amount s of weapons to play with. What I really like about the game is the way you have to really collaborate with your teammate to get through each level. The pace of the game is perfect, it really doesn’t go too far with the action and it puts a lot of puzzles in with the exploring and adventure part of the game. It feels just like a Tomb Raider game in that sense. I am very impressed by the length of the game so far and that’s even if you try to rush through it. Levels take anything from 20 to 60 minutes to complete and there are many of them. While it is possible to play this game on your own I would point out strongly to play it coop, it adds so much more to the game and it’s really fun to play. Recommend warmly for fans of Tomb Raider and for anyone looking for an awesome action adventure to play together with a friend.